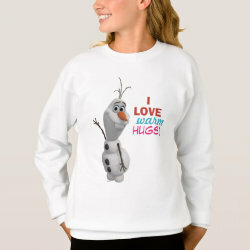 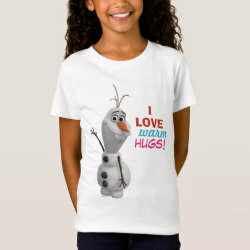 Olaf the Snowman, of Disney's animate feature film Frozen, loves warm hugs. 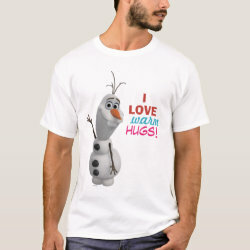 Poor Olaf, he just doesn't know yet what warm hugs will do to More... him. 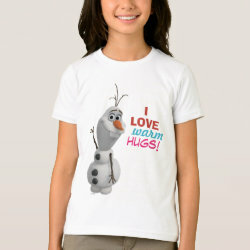 The cute design is available on customizable t-shirts for boys, girls and adults in many different styles and colors. 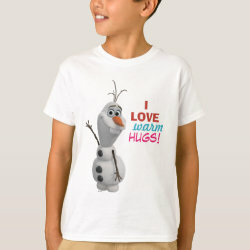 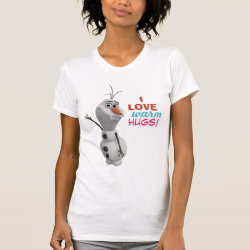 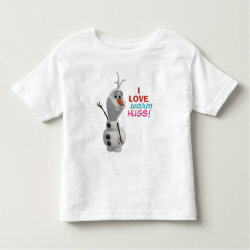 Great Olaf tees here for fans of the world's friendliest snowman.